Seven Cornell students are part of the first cohort of learners at the Nilgiris Field Learning Center. Enjoy the student blogs during their research and study abroad semester. Hope Craig is a junior majoring in Biology & Society in the College of Agriculture and Life Sciences at Cornell University. Hope is interested in the interplay between science, society, and culture as it relates to women’s health in local and global contexts. Hope is a resident advisor (RA) for first-year students at Cornell University. She works with a team of co-RAs to promote positive behavior, active decision-making, and social responsibility among the undergraduate student population. Through community programs and individual interactions, Hope works to create and sustain a safe, respectful, and open environment for a diverse student body. Hope is also an undergraduate research assistant. Her past research involvement regarded behavioral interventions of complementary feeding practices in resource-poor settings, particularly as they relate to caregivers. Meghan Furton is a junior studying Environmental Engineering. She comes from Beverly Hills, Michigan. During the school year, Meghan lives in a first year residence hall working as a Resident Advisor and is part of the Project Team AguaClara. Her exploits as a part of the AguaClara team have included a trip to Honduras to explore plant construction techniques and endeavors as a Design Team leader to update and improve AguaClara’s open source water treatment technology. Outside of the classroom, Meghan plays Water Polo for the Cornell Women’s club team and paints oars for Cascadilla Boat Club. Samsuda Khem-nguad is a sophomore at Cornell University. 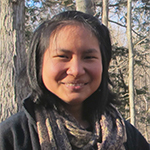 A native to Thailand, she enjoys living and learning about different communities, and she has worked and lived with the Karen indigenous tribe in the North of Thailand. She has studied in Buddhist monasteries, as well as abroad in New Zealand, Hong Kong, and now the United States! With hopes to facilitate better understanding across different communities, she is perusing an International Agriculture and Rural Development major and an Urban and Regional Studies minor. Outside of class, she enjoys being a part of two Student Assembly Committees, working specifically on sustainability initiatives. Back in Thailand, she continues to manage a community art project for Thai primary school children, which she initiated in 2007. 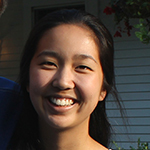 Jocelyn Lee is a junior in the College of Arts & Sciences at Cornell University. Majoring in Biology & Society, she is most interested in studying how individuals and communities relate to their food and natural environment, particularly as a consequence of education and cultural identity. She hopes to explore some of these themes in the NFLC classroom. In addition, Lee teaches Cornell Outdoor Education courses, leads outdoor pre-orientation trips for first-year students, promotes sustainability on campus, and is involved with the Locally Grown Dance Festival. Cole Norgaarden is a sophomore majoring in Urban & Regional Studies and minoring in Inequality Studies at Cornell University in Ithaca, New York. Originally from Wayzata, Minnesota, he has previously traveled to both Japan and Bangladesh, where he explored the environmental impacts of global climate change while participating in the state-sponsored American Youth Leadership Program. Recently Cole has become involved in fossil fuel divestment and labor action initiatives on campus, including a successful campaign to cut university ties with manufacturers that failed to sign the Accord on Building and Fire Safety in Bangladesh. 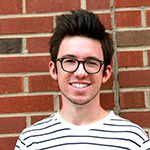 In addition to being a student, Cole is an ambassador for the College of Architecture, Art, & Planning and serves on the nonprofit World Savvy Alumni Advisory Board. 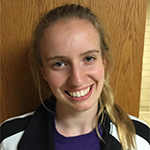 Laura Powis is in her third year at Cornell University in the College of Human Ecology. She is currently pursuing a major in Human Development and a minor in Nutrition. 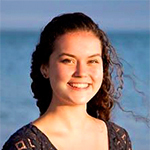 On campus, she is an active member of the Cornell singing community and is a member of both the Cornell University Chorus and of After Eight A Cappella. In addition to singing, Laura works in the Early Childhood Cognition Lab as a Research Assistant and works for Cornell Outdoor Education teaching classes for members of the Cornell and greater Ithacan community. 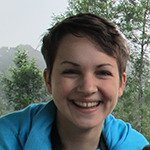 Laura was drawn to the NFLC program because of the unique opportunity that it allowed her to participate in hands-on research and fieldwork in a country as beautiful and foreign as India. She is incredibly excited for the upcoming semester and the experiences that the program has in store. 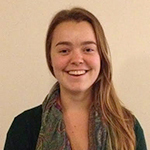 Hanna Reichel is a sophomore in Cornell University’s Urban and Regional Studies program. She brings a lifelong interest in design, sustainability, and food to her work, where she is interested in observing patterns of human consumption and how these interact with the ecology, aesthetics, economics, and equity of communities and regions. She is particularly concerned with how rapid urbanization and globalization, alongside climate change, may impact food security, and how food might be a part of the solution to building healthier, more resilient communities for the future. Always one to value engaging conversations and diverse viewpoints, Reichel is invested in building a more active campus community of students interested in issues related to city and regional planning. She is an avid grower, baker, and photographer of food and is (very) eager to sample local Indian cuisine.